How a Home Page tells a Brand Story. What’s up the the Roxburgh.com home page? Why do you change your home page so often and why those images? They are…well – different. The most powerful opportunity to share a brand story is a brand’s website. This is a peice of real estate that should not get stuck in a time-warp. Digital is evolving and a brand that is current evolves with it. Add to this that images that stir your imagination establish an unconscious connection faster than any block of copy ever could. Where better to demonstrate these marketing concepts than on the home page of our own branded website?Watch movie online The Transporter Refueled (2015)? 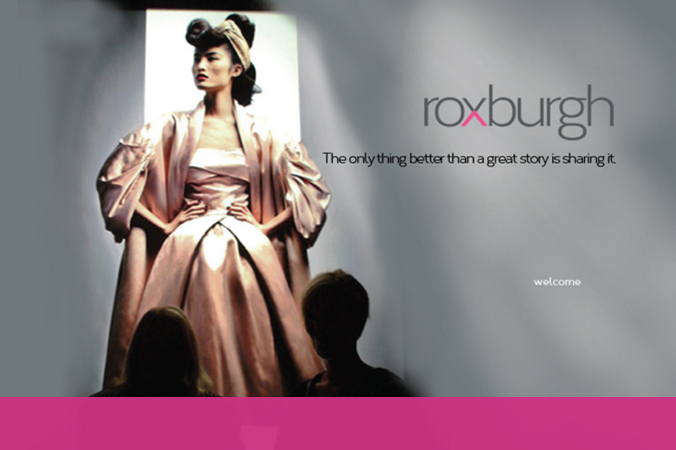 The brand story of Roxburgh is always a story of being captivating, evocative, and soulful for our clients’ success. Our home page changes with unexpected imagery that tells life stories that pique curiousity and emotion. As a marketing firm, we are known for great design that connects to customers. No matter the medium, relationships start when a product becomes noticably relevant to a person. And while the customer journey may start in Social, Outdoor, or Search…it will lead to your website. Stories roll out over time and flow in the digital space. The Roxburgh home page is telling our story and thanks to technology it changes as easily as we change. Still, there is a constant in each image that ties back to what our brand is all about. The pursuit of connection and emotion through stories. KEY POINT: Today being nimble is being strong. Always stay consistent in messaging and ‘on brand’ to gain momentum.